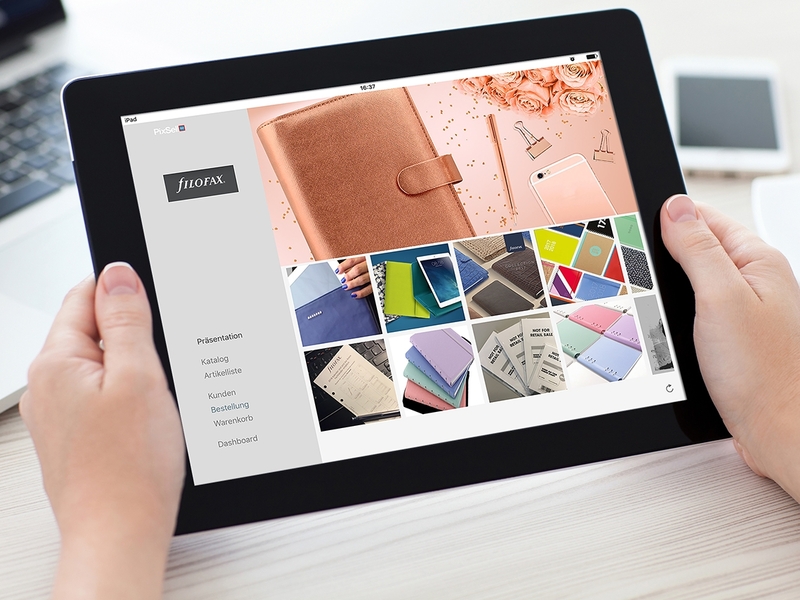 Global stationery and gift giants Filofax have reported an increase in productivity across their sales team – thanks to PixSell iPad ordering. We all wish we had more time on our hands – and for Filofax Germany this has become a reality. When they selected PixSell, their need was for a digital catalogue to present to the customer, along with product information and images. One year on and the German and Austrian sales team are reaping the benefits of so much more than just a digital catalogue and according to head office are “selling even better than before“. Filofax UK also use PixSell for their sales team.